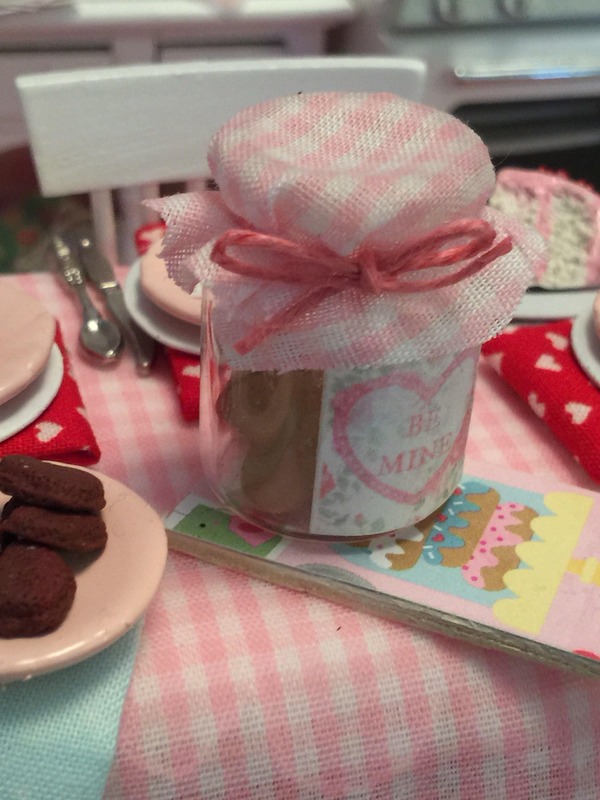 Setting the table for Valentine can be fun. 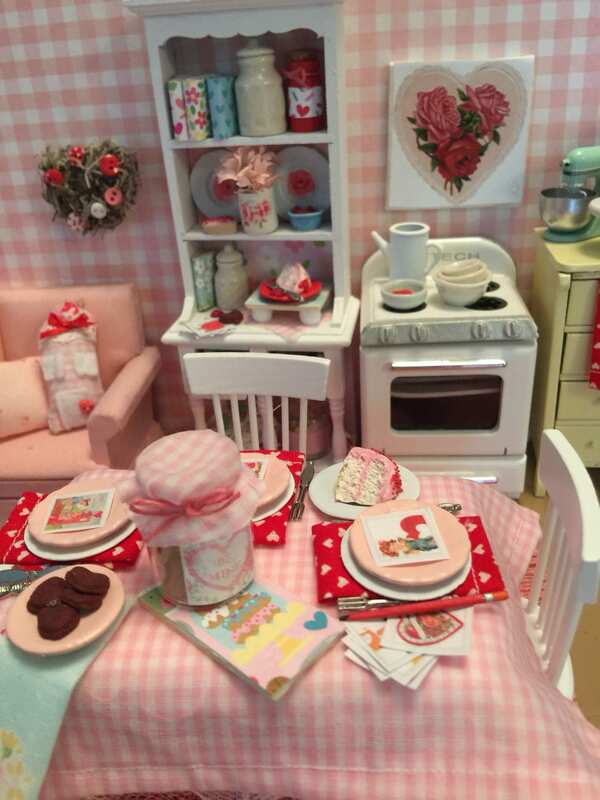 Tablecloth is made of tiny pink gingham check cotton. There is a pretty pink lace underlay tablecloth underneath. 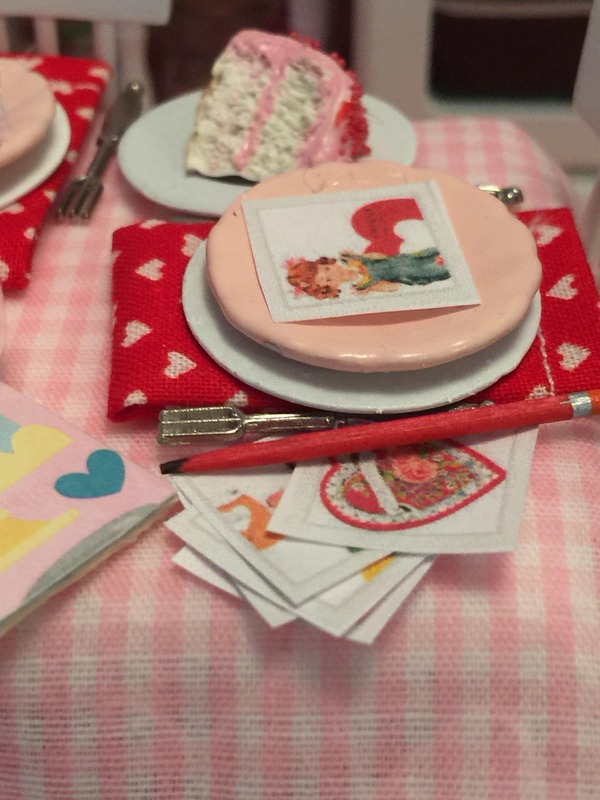 Napkins are made from vintage fabric that has tiny little hearts on it. Fabric is adorable. Plates are stacked and have little Valentines on them. Cookies are heart shaped in cookie jar. 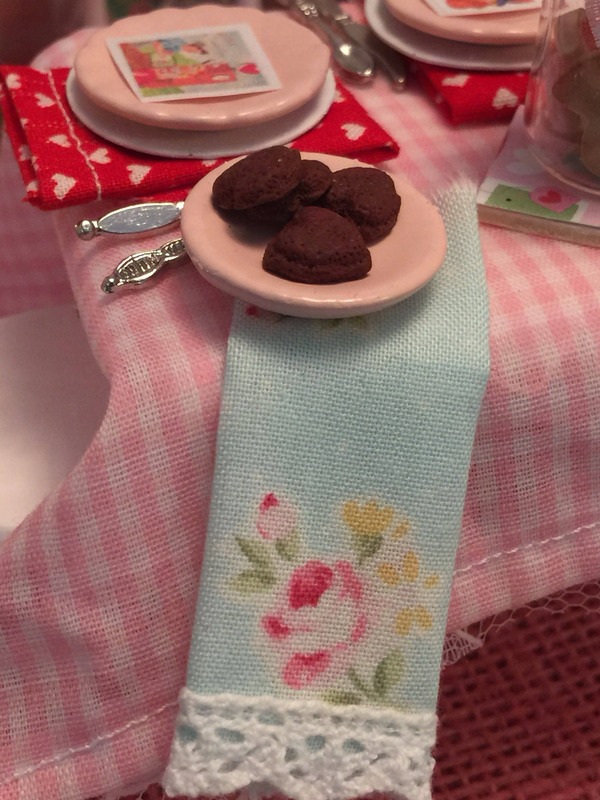 Little chocolate type cookies are on a separate serving dish. 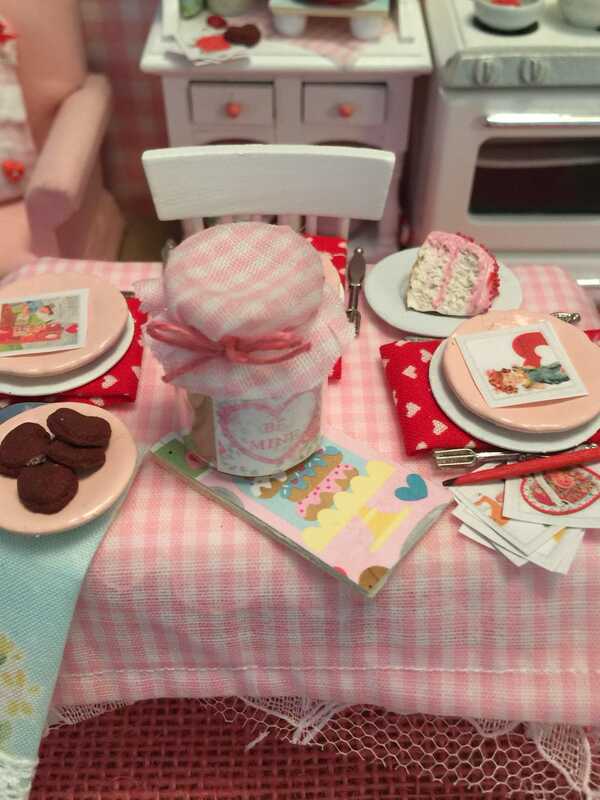 Table and chairs by Dollhouse manufacture. Everything on table is part of this listing. Food and linens are made by me. Table is approximately 4” long. Comes with three matching chairs. 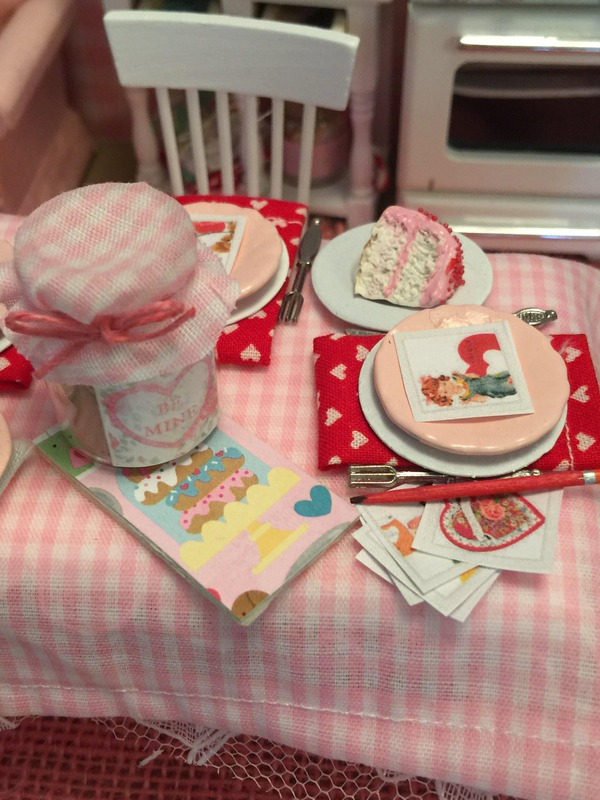 Items are removable as well as the Valentine themed items. 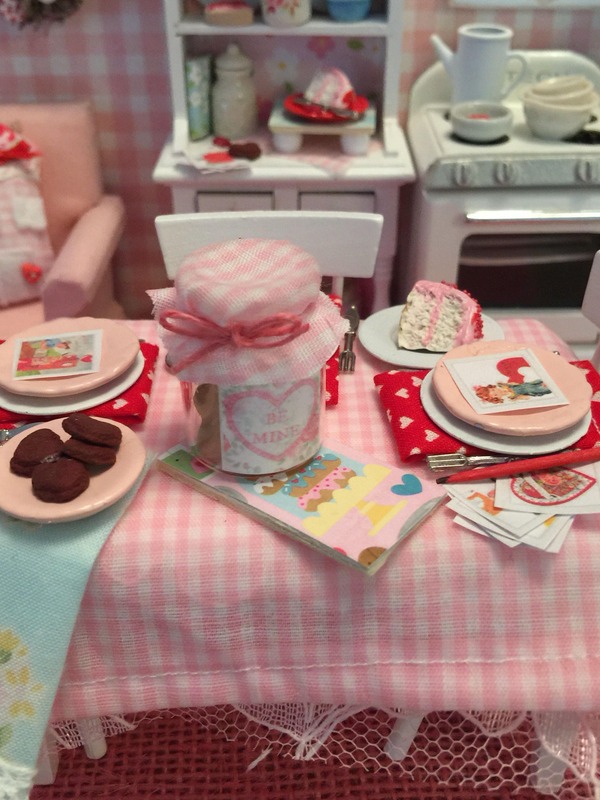 Table can be used as regular seasonal Dollhouse furniture by changing tablecloth or centerpiece as desired.